A smile is a simple way to appear friendly and confident, but not everyone is confident in their smile. 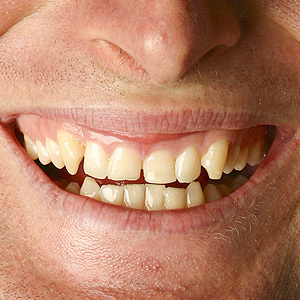 Whether due to missing, chipped, cracked, crooked or discolored teeth, many people feel their smile is less than perfect and might prefer to hide it. A perfect smile isn’t an impossible dream, though. Cosmetic dentistry offers many different treatments for transforming imperfect smiles into perfect ones. At the Baldwin Dental Group, Dr. Ben Baldwin and Dr. Stuart Baldwin are your Madisonville, KY cosmetic dentistry specialists. Cosmetic dentistry makes it possible to dramatically transform your smile. Patients even report that having a cosmetic dentistry procedure done had a positive impact on them, as revealed in the results of a study conducted by the Journal of Dentistry. Not only can cosmetic dentistry correct an imperfect smile, but it also gives many patients a boost in self-esteem. Getting cosmetic dentistry in Madisonville, KY, can give you a perfect smile you’ll love and a boost in confidence. Once you have any type of cosmetic dental procedure done, it is important to continue seeing your dentist regularly. Regular checkups that include a professional cleaning will help keep your cosmetic dental work in great shape for years to come. Regular dental checkups will also help you maintain good oral health overall and prevent problems that could result in the need for further cosmetic dental work down the road. Whether you just want a brighter smile or need to replace missing teeth, cosmetic dentistry can help you achieve your dream of a perfect smile. For cosmetic dentistry in Madisonville, KY, contact the Baldwin Dental Group by calling (270) 245-1547.